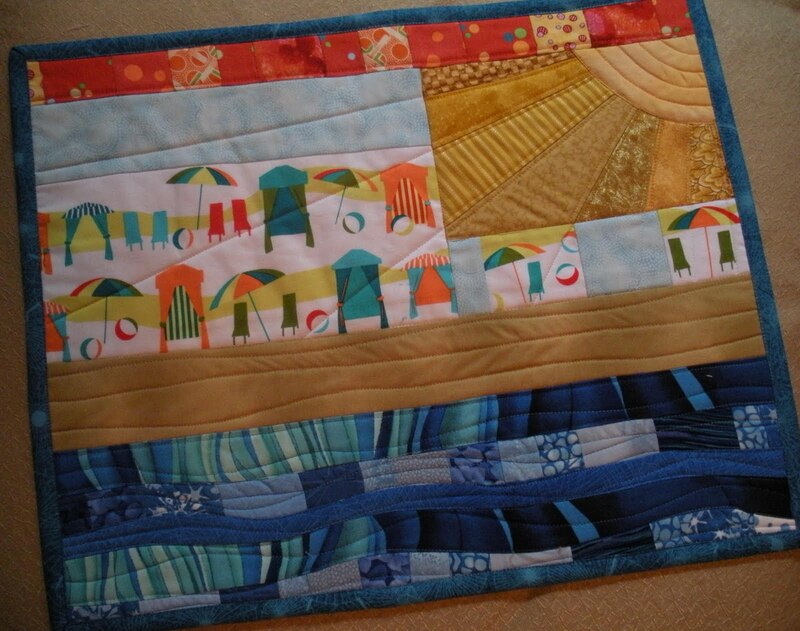 Now, my Iowa summer bears no resemblance to this quilt whatsoever…yes, we do have beaches here and there, lakeside beaches, but I haven’t made it to one of those in years. This is how my summer “in my head” looks. dreams of being in a lounge chair on the beach with pretty, bright colored cabanas dotting the horizon. If only… Need to add a label tonight and send it off in the post tomorrow! John, your blocks are next! I love it! So, so perfect. Shall I welcome you to West Des Moines? If that's where you're headed? Lovely mini quilt too! Cabanas are wonderful. oh, and i LOVE your little quilt! Love it AND you put it together so quickly (I am a major slowpoke!!!!). I really like the contrasting straight/wavy stitching. Oh man, I want that quilt! It's so adorable. Your partner is so lucky. 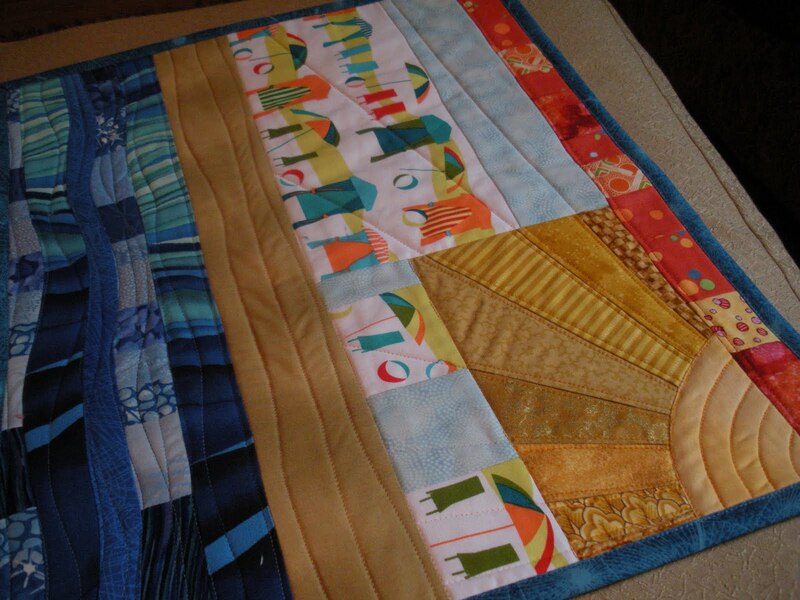 I love the movement of the sun's rays and the water you created with the quilting lines. Very cool! I luv this! Well done! so cute doris! well use of the michael miller cabanas! I've been trying to figure out what to do with mine… hmmmm. way to go! That is a stunning little quilt! Those water lines are really amazing! 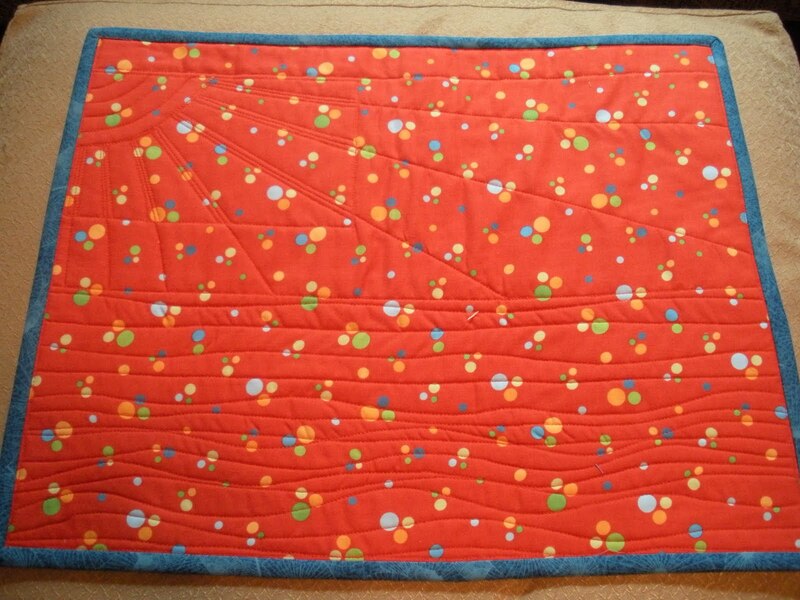 I am just now learning how to do free motion quilting. My machine is a little touchy and my back stitches are really loose. I have been adjusting but it's just real tricky. What inspiration you have given me with that lovely water! That has got to be the most perfect summer quilt ever! ps. thanks for the idea about the chain for the bag handle! the quilting is so wonderful! 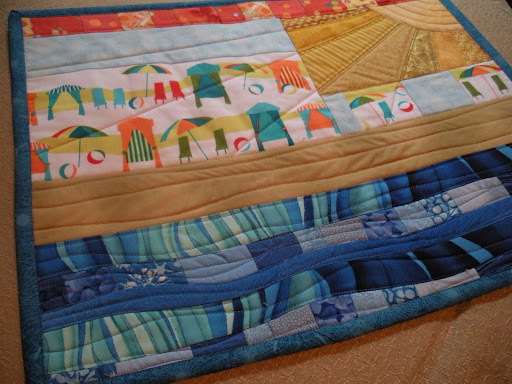 the perfect quilt to keep summer alive!